According to the statistics of the Consumer Adoption and Usage Study by Adestra, in 2016 the 14 to 18 age group is the most likely to read emails on their mobiles – which is not quite surprising. An average 25.6% of respondents say that they always read their mail on their smart devices first – however we can identify a great gap when looking at older users. In the 14 to 18 group the “always” answer has a 40% share while those who say they never do this only account for 27%. While in the 56 to 67 group the only 8% said they always open on mobile first, but 55% will never read mail on their mobile first. The takeaway: if you are planning on targeting younger age groups, you will need responsive email templates, while if your target audience is older you can still partly rely optimize for proper desktop experience. 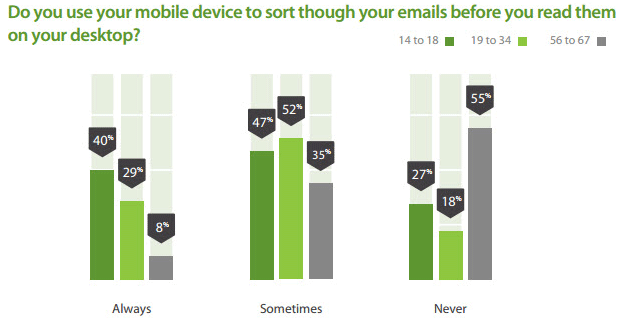 Mobile currently represents 55% of all email opens with desktop at 19% and webmail at 26%. There are of course a very large number of devices out there, but if you have limited budget, time or resources, you should primarily focus on Apple products. As of March 2016 iPhones represent 60 of the mobile email market and iPads another 21%. Google Android’s share is only 18% according to the numbers of Litmus. And the market is still far from stabilizing. The number of mobile email users is expected to grow an overall 23% in 2016. As of industries, the highest number of email opens can be registered in the TV/Radio/Film sector (71.89%) with the Events sector in the second place (59.87%). 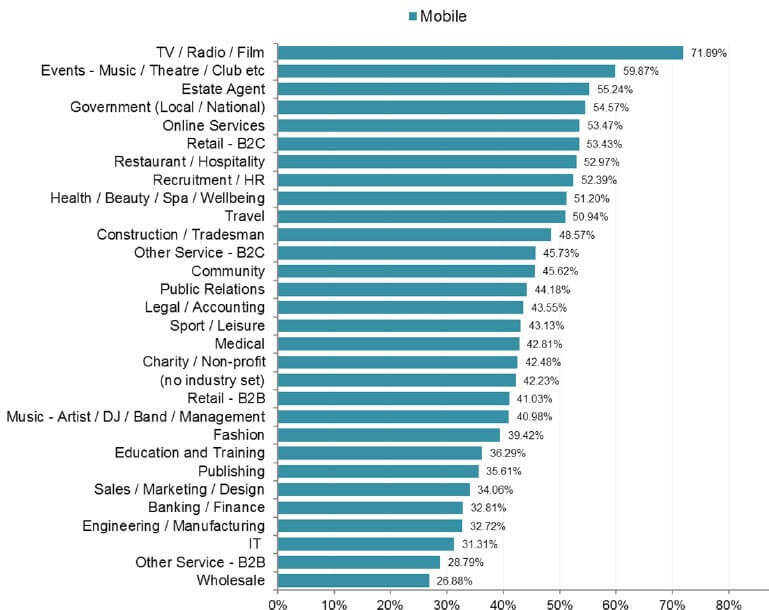 IT, B2B and the Wholesale industry are pretty far behind, with only 25-30% of the opens taking place on mobile. So if you are in a B2C industry, you should consider the 14-18 segment and Apple devices very important. You should build email templates that can be displayed without a problem on these. 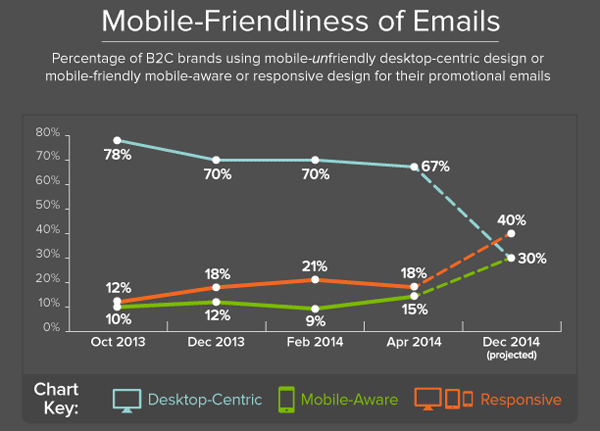 Still, only 32% of marketers preview their emails in various clients before sending. And even less (18%) are using responsive design. And from this you could take away one main thing: that however trivial responsive email design is, you can be still be ahead of most of your competitors if you start using a professional email template builder right now.